Cobb County is booming…and the Development Authority of Cobb County (DACC) wants to keep it moving in that direction. DACC’s goal is to develop and promote the public good and general welfare trade, commerce, industry, and employment opportunities for Cobb, but its website, Select Cobb, didn’t reflect the county’s identity. 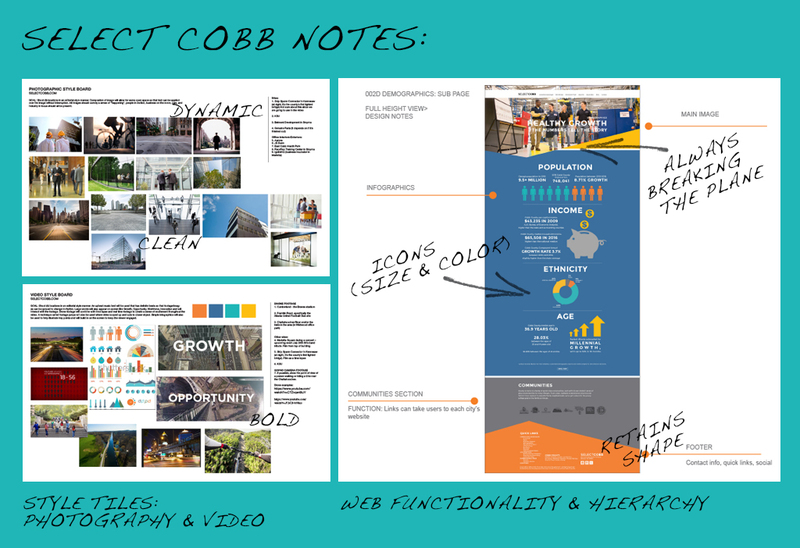 DACC wanted a visual identity and a website that would tell Cobb’s story concisely but with impact. DACC selected id8 for the job. The team started with a discovery session, listened and learned to understand DACC’s goals and brand personality, performed a brand and content audit, and came back with a plan. The first step was to solidify the brand, both visually and with messages. The brand identity, messaging, and design including photography) would be based on a foundation of boldness and forward thinking. Cobb County is a great place for businesses to launch, expand, or relocate, and this direction would leave no doubt in anyone’s mind. 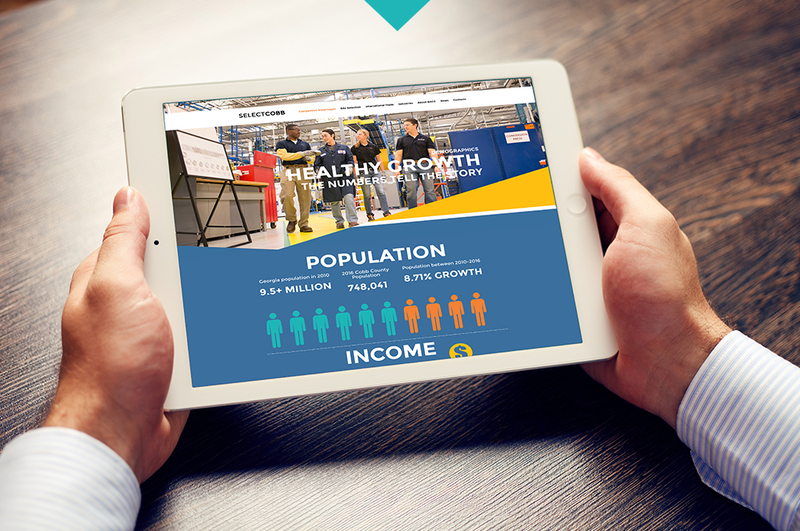 The website featured big, bold statements and concise content that told Cobb’s story, clearly communicating its assets, benefits, and relevant data. Teal and bright yellow, two colors used by the Cobb Chamber of Commerce, were used in the color palette, and the design included planes being broken by angles and other shapes to convey freshness and movement. The final touch was bold photography taken on location in Cobb, which clearly showed the energy and excitement of a prosperous county. 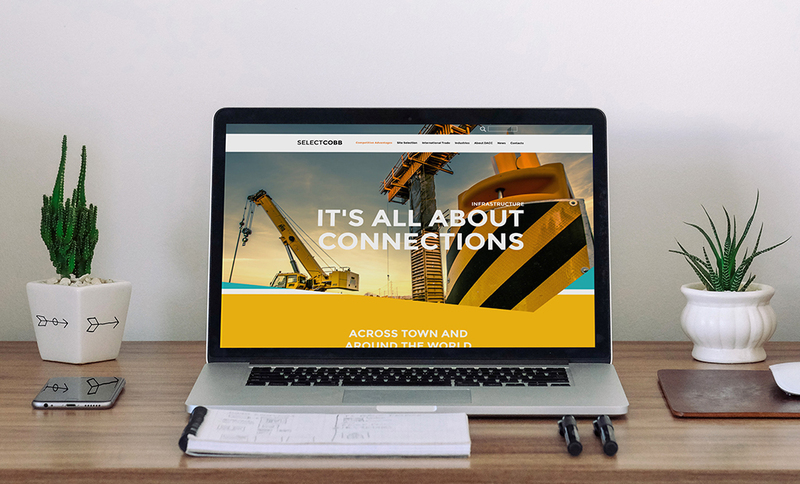 The new website was designed to be exciting and engaging, incorporating clean, practical navigation that made information easy to find and digest. An interactive map made it simple for visitors to search for available real estate. The site was also designed for easy maintenance by the staff. One last item that completed the picture was an informative teaser video. id8 helped design and create the video, working with videographer Jeffrey Morris to capture drone footage of the county—which made it even more engaging. 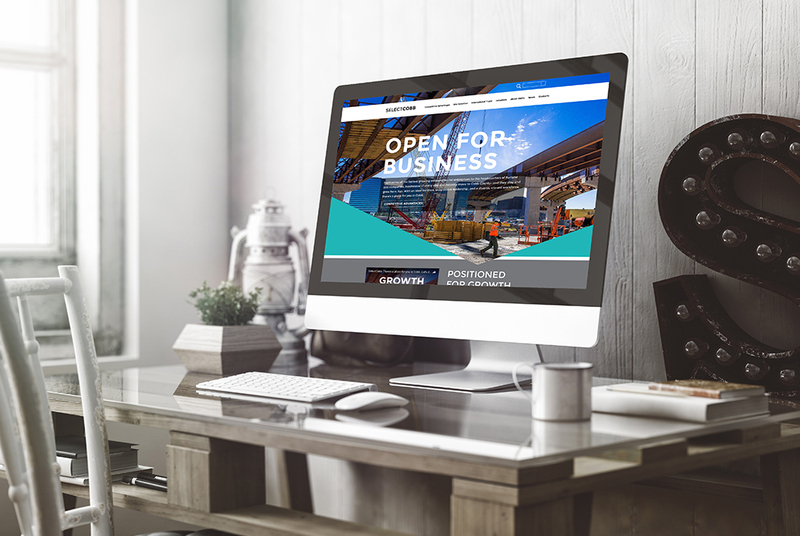 The goal of the branding, messaging, and website was to drive traffic, and the response has been very positive. Everyone—from local business owners to Cobb County government officials—agree that Cobb is strongly represented by Select Cobb.